Powered by a standard 2.5-liter 4-cyl. 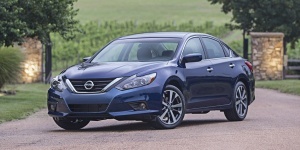 or optional 3.5-liter V6, the Nissan Altima is an attractively styled and well-equipped sedan that features a comfortable ride, but only average dynamics. 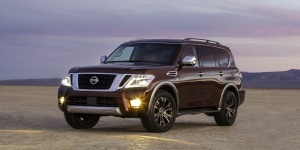 Powered by a 5.6-liter V8, the Nissan Armada offers impressive handling. Its cleverly conceived interior provides room for eight and the creature features that should satisfy its owners. 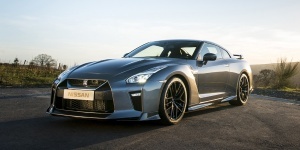 The Nissan GT-R combines excellent handling and performance with everyday usability. Thanks to its all-wheel-drive and active suspension, it's the perfect all-weather, all-purpose supercar. 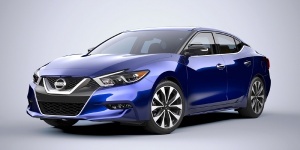 Featuring a powerful 6-cylinder and a high-quality interior, the boldly styled Nissan Maxima is one of the best-handling front-wheel-drive cars available. 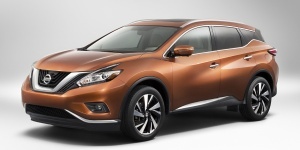 Powered by a 3.5l V6, the car-based Nissan Murano offers space for only five passengers, but compensates with a compliant ride and excellent build quality. 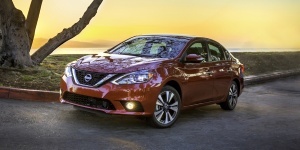 The Nissan Sentra is a roomy and handsome four-door sedan that combines competent handling with a choice of either frugal or strong 4-cylinder engines. Get the best price for the Nissan of your choice from a dealer in your area. Request a price quote now.